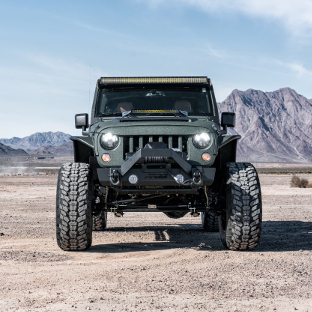 Building the ultimate offroad Jeep Wrangler requires more than just an aggressive look. It takes hardworking Jeep accessories -- particularly those that are built with dependable strength and tested to outlast the trail. 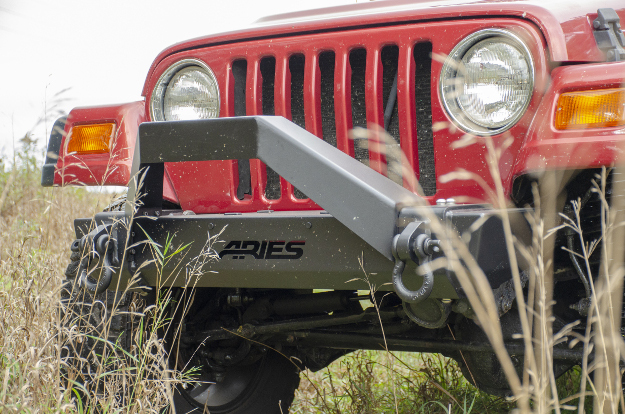 The ARIES TrailCrusher® bumper for Jeep Wrangler is built with a welded, all-steel construction and has highly tested winch and shackle ratings, allowing it to outperform most other Jeep bumpers in its class. 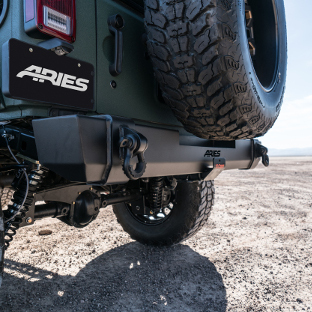 With this highly functional Jeep bumper available for the front and rear, you get the aggressive look you want with the reliable performance you need to crush any trail. 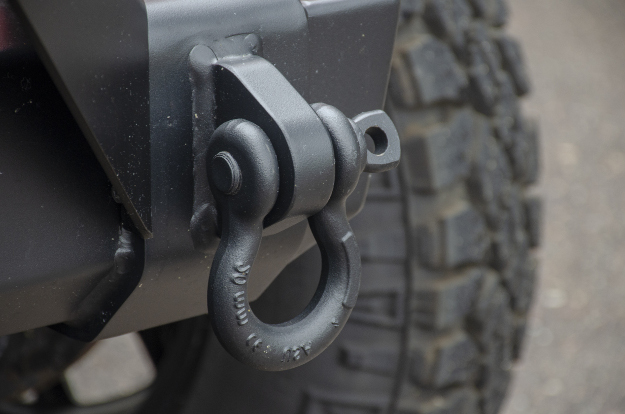 With a fully tested weight rating, the TrailCrusher® features a standard winch mount to accept most types of winches and welded shackle mounts to accept any 7/8" diameter pin. The TrailCrusher® front Jeep bumper installs with no drilling or pump relocation required and can accept our LED lights, bumper brush guard, winch fairleads and more. 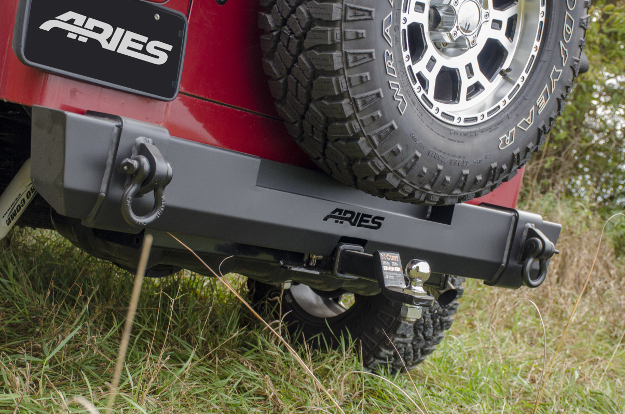 The winch mount of the ARIES TrailCrusher® Jeep Wrangler bumper is equipped with standard mounting holes, allowing it to accept most types of winches. 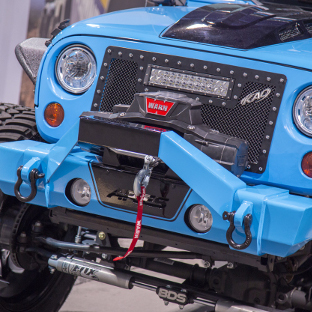 The mounting holes are slotted to increase its fitment options, and a fairlead bracket is also available to enhance the safety and performance of your winch. 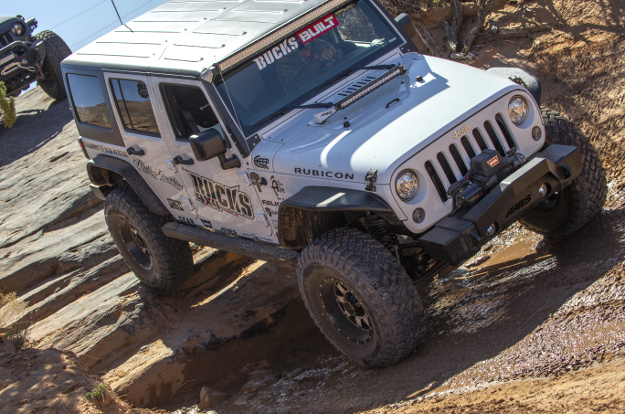 For even more functionality, the TrailCrusher® Jeep front bumper can accept a stinger brush guard, helping to protect the winch from offroad debris and adding an aggressive, customized look. 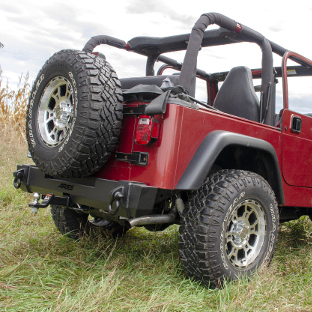 The TrailCrusher® bumper is available as a complete kit with the stinger brush guard included or as a separate piece. 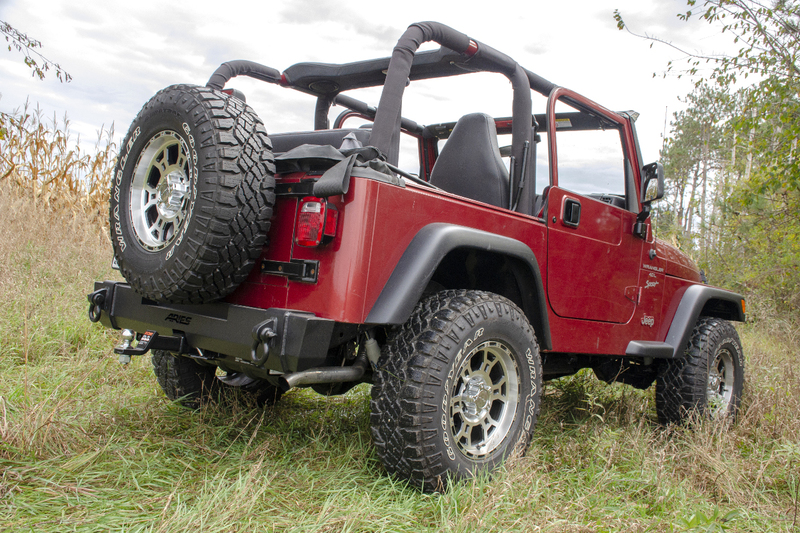 We offer options for Jeep Wrangler JL, Jeep Wrangler JK and Jeep Wrangler TJ. 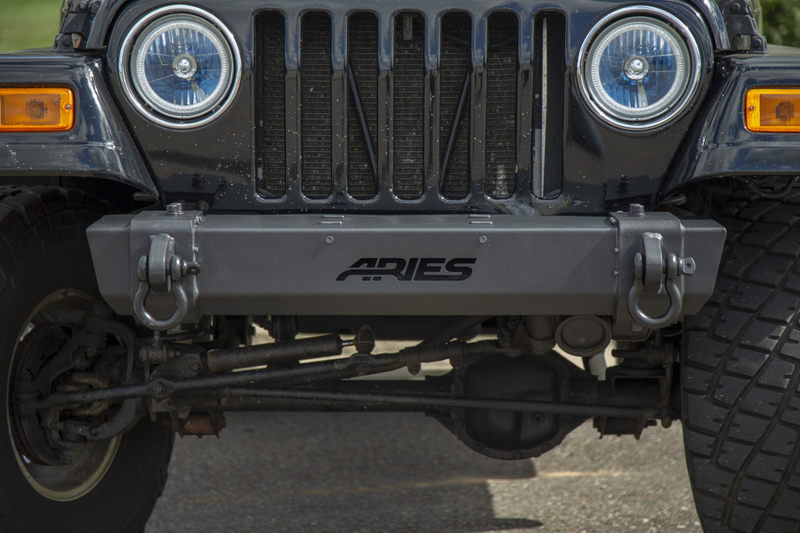 For the serious offroad Jeeps and rock crawlers, the TrailCrusher® bumpers for both the front and rear are fitted with welded shackle mounts. 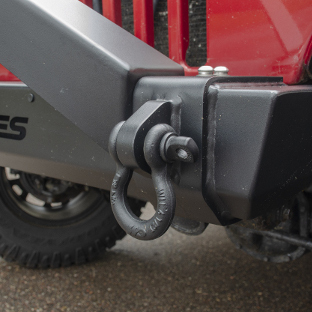 These high-strength mounts have the same trail-ready rating as the front winch mount and provide solid anchoring points for shackles with a 7/8" diameter pin. The shackle mounts are constructed from solid steel and are welded onto 1/4" thick shoulder sleeves for reliable strength. 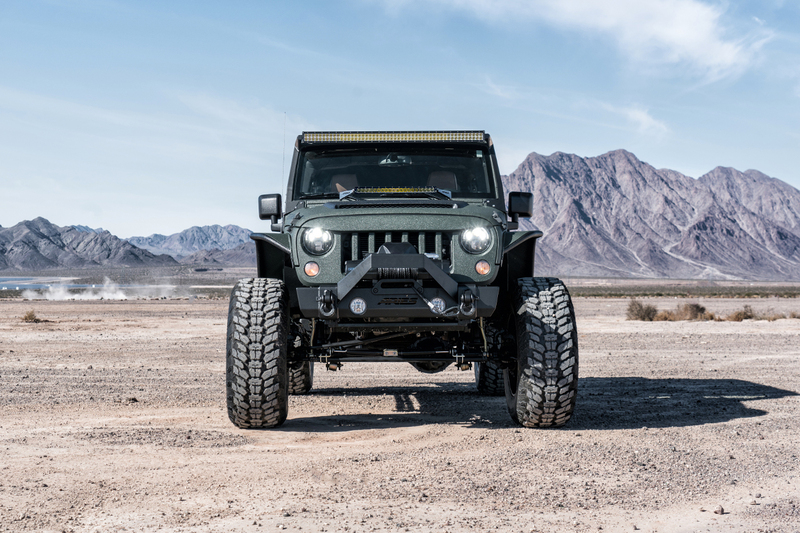 The TrailCrusher® Jeep Wrangler bumper is optimally designed for offroading with its one-piece steel construction, narrow width and high ground clearance. 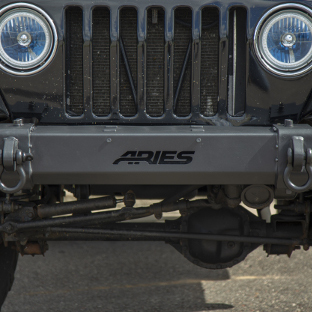 It bolts onto the Jeep front end high-and-tight, allowing it to clear obstacles on the trail and accommodate large offroad tires. To truly make it trail-ready, we also cover the TrailCrusher® in a highly durable, dual finish of E-coat and carbide black powder coat, maximizing its resistance to rust, moisture and abrasions. 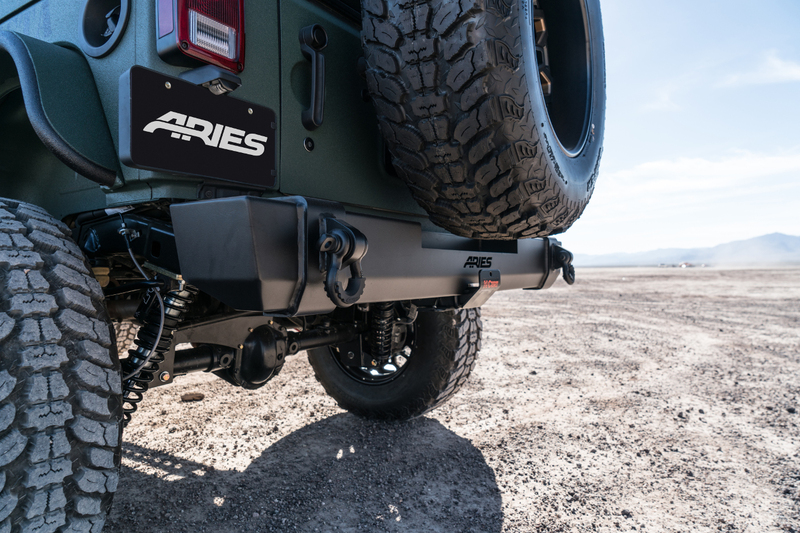 The ARIES TrailCrusher® Jeep bumper is available in both front and rear models for the Jeep Wrangler. Both feature the same all-steel construction for dependable strength and the same welded shackle mounts for maximum functionality. The TrailCrusher® rear bumper also features cutouts to accommodate a trailer hitch receiver and an oversize offroad spare tire. 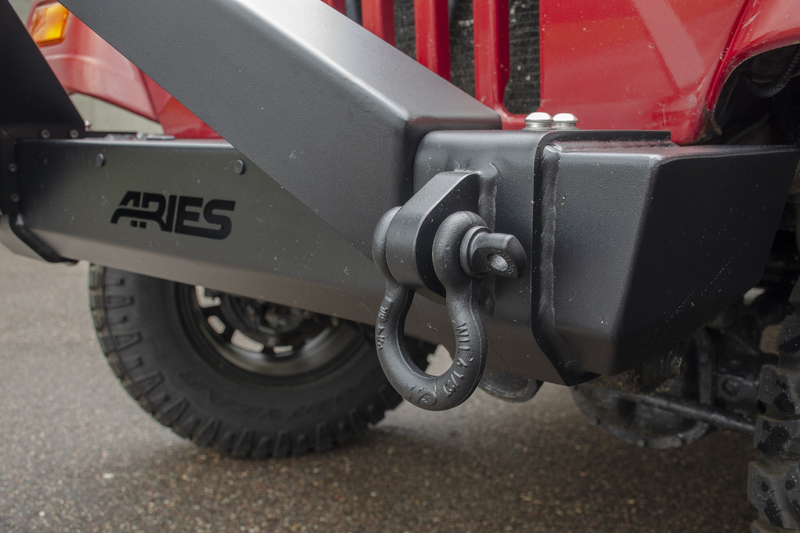 Installation of the TrailCrusher® Jeep bumper could not be simpler or more secure. 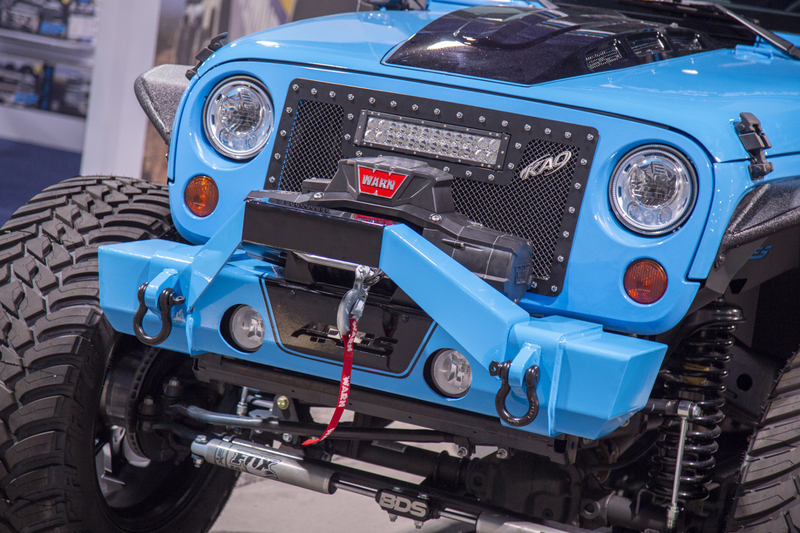 It uses factory mounting points on the Jeep Wrangler frame, giving the bumper maximum rigidity and eliminating the need for drilling. The front bumper also features round center cutouts to house the OE fog lights, and it comes with all necessary hardware for a complete installation.